To edit tab click “Edit” button. 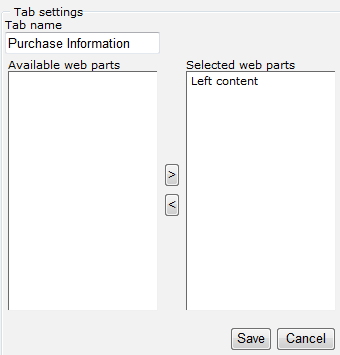 Here you can define tab name and web part that will be included into this tab (in this case we have only one web part). Click “Save” to save the tab settings. You can define name for all the tabs and changer the order of them the page. Click “Create new” if you need to add more tabs to the page. As a result three web parts are grouped into tabs and reordered on the page. 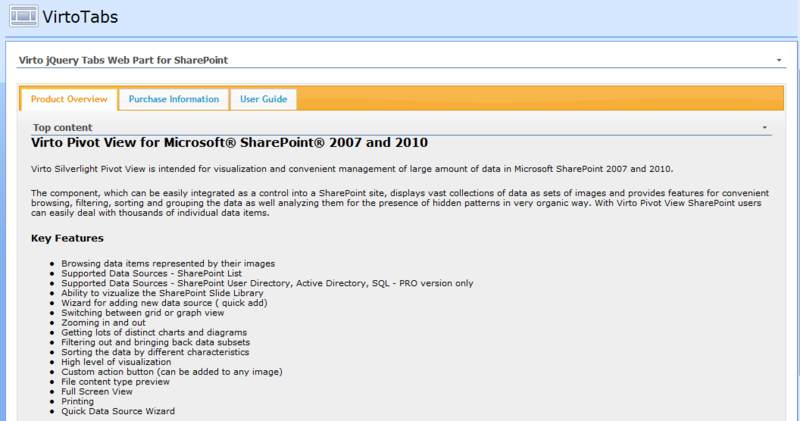 Now it is much easier to navigate to required section and find information you need.